Being Patient – the Op. I’ve been trying to reflect on my ‘patient experience’. 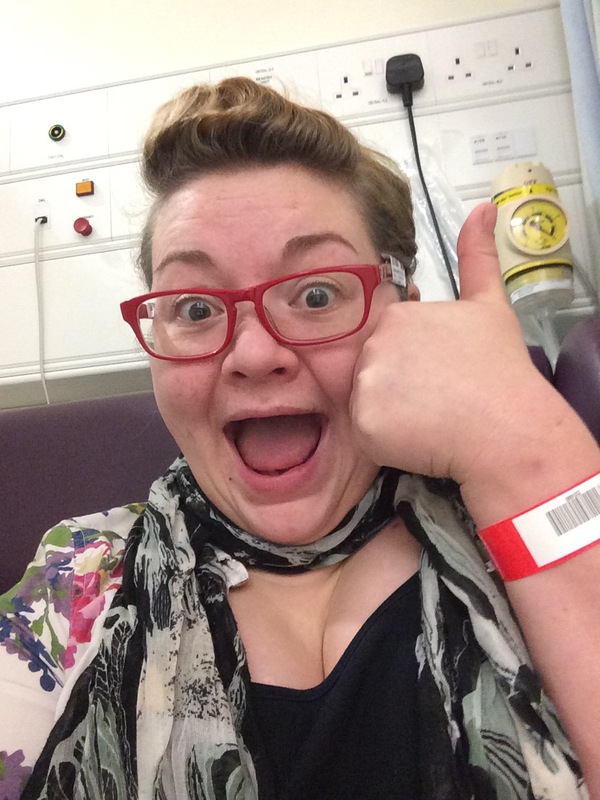 Nearly everyone I have met in the month since seems to feel the need to point out how great a medic I will be having experienced a stay in hospital (4 nights, and boy, I was counting). And they have a point. Not that it will make me a great medic (there’s a bit more to it than that! ), but that actually, it’s nothing like one expects. It is so so much harder. I had my op on a Monday. It was planned, and I had everything I could possibly need (and more) packed and ready. I had tried to resist working out my ASA score (a measure of anaesthetic risk), and when I arrived, my major concern was to see if I could avoid opiates if at all possible. I knew from bitter personal experience that me and Codeine and Tramadol were never going to be mates (no mate makes you projectile vomit tea. At least, no mate you should keep), and so I was pretty keen not to have a run in with their bigger, more aggressive cousin, Morphine. 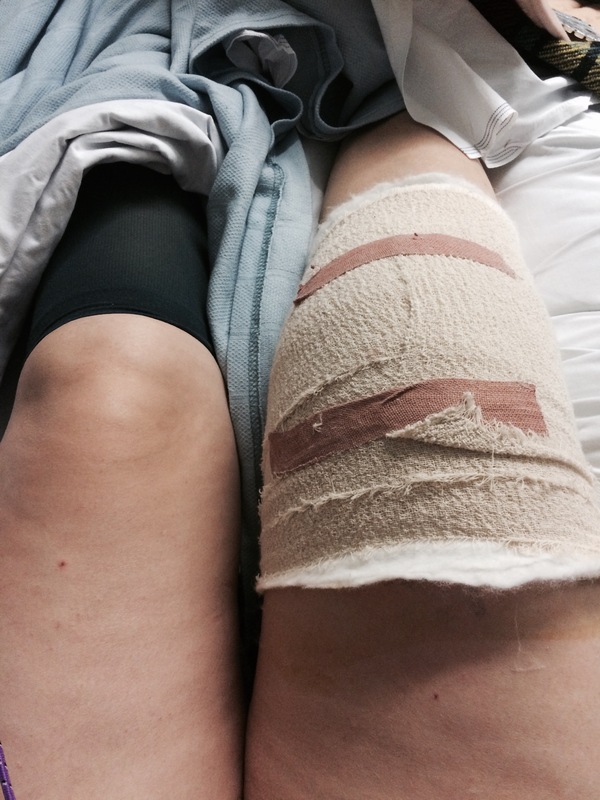 My lovely pre-op assessment nurse had assured me they would try to find an alternative. My anaesthetist was lovely but less optimistic; “You are going to need a PCA (Patient Controlled Analgesia) after the op. This is normally Morphine. I will give you Ketamine (yes, the horse tranquiliser) during the op, but afterwards it’s Morphine or Fentanyl, which is shorter-acting. I’ll think about it, but it will probably have to be Morphine. I promise I will load you with every anti-sickness I can though.” – anyone curious about my experience on Ketamine, will remain sorely disappointed; I’m afraid I wasn’t conscious! So far, so concerning. A lovely HCA (Healthcare Assistant) did a pregnancy test (not something I’d been told to expect, but not surprising), and after having a chat to a great SHO (who sweetly promised that he would personally remove any med students who tried to walk in – there are some things no potential drinking buddy should see), and then my consultant, I was donned in two hospital gowns (one backwards, one forwards), my incredibly attractive DVT stocking (only on non-operative leg, which rather ruined the look), and the all important netty knickers. If you learn nothing else from this blog, know this; they’re actually reasonably comfy. Just translucent. But trust me; NO ONE is looking (unless you’re a gynae case, when you’d probably rather they could see what they’re doing). I said goodbye to BoyFace (who looked a wee bit nervous, and tried to follow me down the corridor…), and was whisked away by a lovely HCA and Porter, who chatted away merrily about their recent Christmas party. Anyone who doesn’t think Porters are some of the most important people in the hospital is a complete idiot. They are totally invaluable. They have an incredible ability to put you at ease, chatting away about anything, and that really helps. I was gently reminded that my op, my situation, was totally normal and mundane to them, and as such, probably not anything to worry about really. I did need that, and got an invite to next year’s party (and the amount of bubbly they apparently got through, I’m going!). Strangely, I was wheeled to an orthopedics theatre I knew. Strange, because I’ve only been in one at my hospital, and it was on my very first morning on Anaesthetics. My fantastic anaesthetic team (medic and Operative Dept Practitioner) put up with my nervous talking really well, and a cannula was inserted swiftly, despite my truly crappy veins. Having witnessed many anaesthetics, lying on the table staring at a poster outlining the procedure behind a Femoral Block was a pretty surreal experience, but it was certainly fast. The mask was held gently on my face, and I remember telling myself to take deep breaths to oxygenate the residual volume in my lungs – my control freak tendencies never leave – and the meds went in. I didn’t feel the ‘stinging sensation’ of the Propofol going up my arm, but the ‘double gin and tonic’ medication prior to that certainly made me go straight to the warm, woozy “Please don’t expect me to stand up” stage of drunk, so that may be why. That’s it. All I remember. No countdown, just going out like a light. Next thing, I was awake, no breathing tube, in recovery, crying. All I wanted was for someone to phone BoyFace, so he could phone my mum as soon as possible. I knew she’d be a stressed out mess somewhere in the North-East, and all my drug and pain-addled mind could think of was telling her I was ok. Fortunately, one of the nurses was able to understand me amongst my tears and the bleeps and phoned B, who asked when he could come and see me. She misunderstood, and handed the phone straight to me. Apparently, I was not my normal, vaguely articulate self. Poor B had a good 5 mins of me crying, then trying to sound ok so he didn’t worry or worry my mum subsequently, then crying, then talking about how bloody hungry I was. Priorities, as ever. The Morphine didn’t work. It took nearly 24 hours to work out a decent alternative (thank goodness for AMAZING Acute Pain Nurses), but while I was in Recovery, I kept having huge waves of pain that no amount of jabbing at the Morphine pump would cover. I wasn’t sick, thanks to the cocktail of anti-sickness the anaesthetist had pushed into me, but I was decidedly uncomfortable, and really didn’t want to be a bother, so had episodes of silent crying, until I got up to the ward and may possibly have fallen apart. Fortunately, one of my dearest friends was working on Trauma and Ortho, and came to see me in Recovery, and kept me calm. I have never been so grateful to see him. That Recovery period was the worst part of my entire stay but actually, in the grand scheme of things, it was ok. I knew I was safe, and while the pain was difficult, it was manageable. I was there for 3 hours, and the only patient they had in that entire time, so I certainly had help around if I needed it. 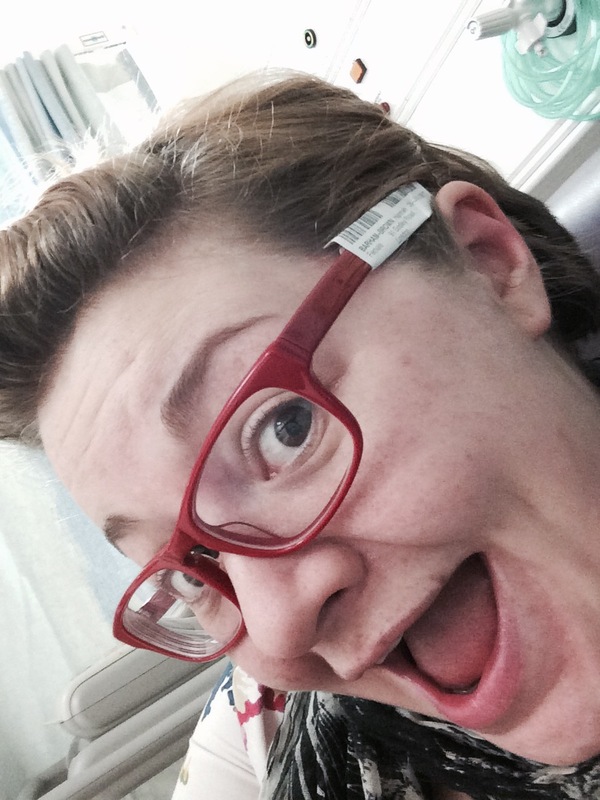 My anaesthetist came to see me, I can’t remember the discussion, but the waves had become less frequent, so I was allowed to escape, and was taken up to the ward by another two utterly lovely porters who LOVED that I was a George’s Student and helped me start to feel normal again. I wish one of the recovery nurses had had time to chat to me in the same way. Distraction is a really useful tool in pain management, and one that was only utilised by the two total gents who moved me upstairs. They’re amazing, Porters.